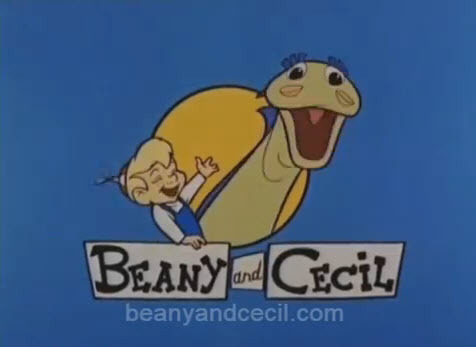 Click on the following picture to see the opening video for the Beany and Cecil Show. 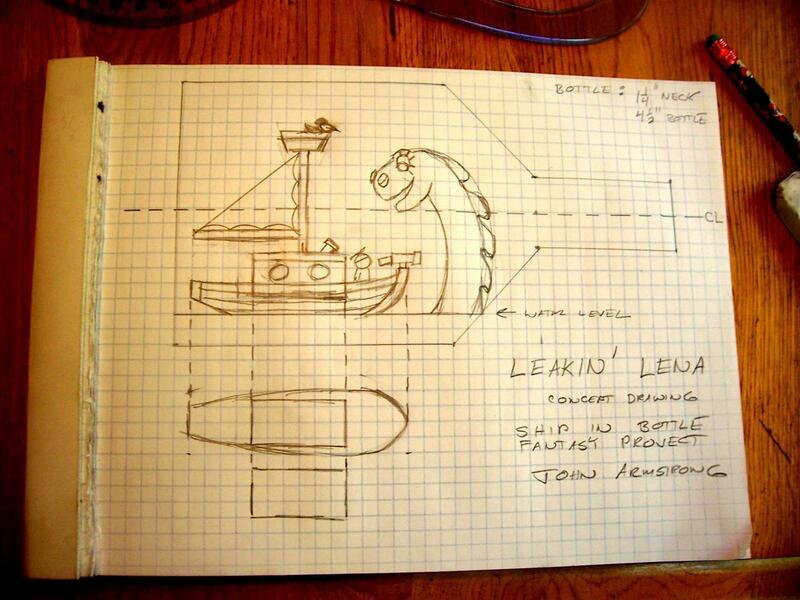 This is my concept drawing for my Leakin' Lena Fantasy Ship in Bottle build. 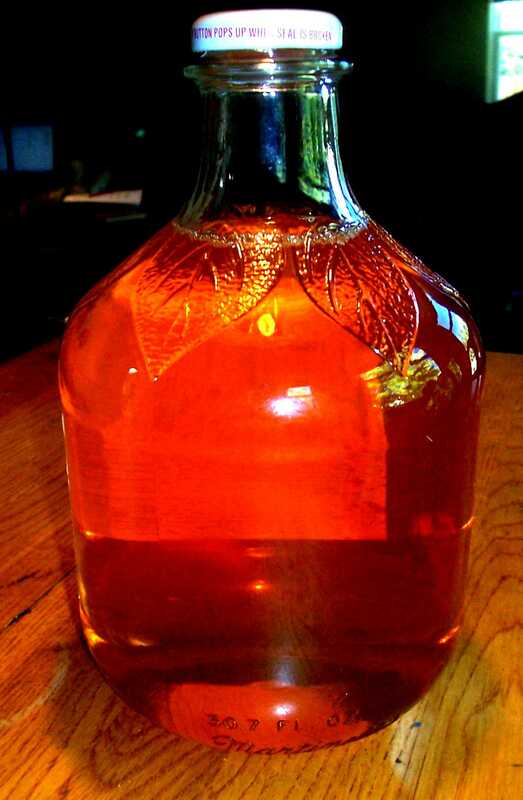 I'm now in bottle preparation. I made and painted the base for the bottle and the photo shows me pouring the resin "sea" into the bottle. Should be able to do a second pour tomorrow. I only pour 3 ounces of resin at a time to help it cure better. 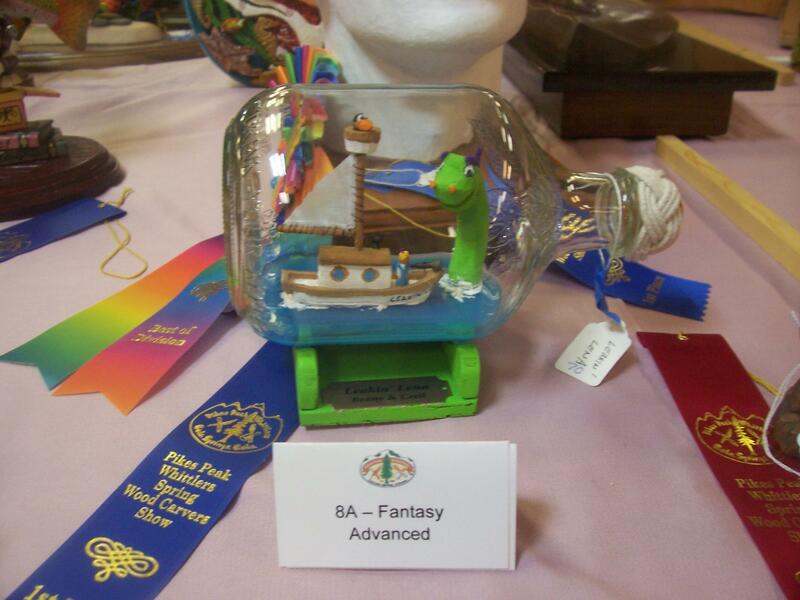 I used a standard craft store casting resin with a few drops of craft acrylic paint to color it. As you can see I've begun roughing out the major pieces using a coping saw, carving knife, V tool, and a shallow 1/4 inch gouge (which I forgot to include in the picture). Along with this I started checking the fit of the pieces through the neck of the bottle. You can see Cecil peeking out of the neck of the bottle after an iterative process of shaving slivers off of his snout and back until he just fits snugly. Note that I'm using bright colors to achieve the feel of a cartoon. Work continues on the Leakin' Lena. The cabin/mast assembly is only temporarily fastened to the hull. The various figures are loose. Once some glue dries, I'll be test fitting again and performing whatever modifications are necessary. After that on to final sanding, attaching the sail to the mast, and paint. Eventually, everything will be permanently attached in the bottle. I'm in the painting process. First I sprayed all the wooden parts with Deft acrylic to seal the wood. Now I'm painting using craft type acrylic paints and Sharpies for the details. 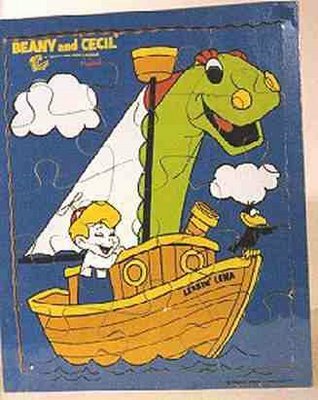 The brown and white colors for the Leakin' Lena were picked from the old cartoons, not the puzzle illustration. For Cecil's eyelashes and the back fins I plan to use some bright purple felt. The propeller for Beany's beany will probably be cut from a holiday sequin and inserted using a piece of cut down pin. Beanie and Cecil's Leakin Lena at the Pikes Peak Whittlers' Show. An award winner!